Wamberal Lagoon Nature Reserve is one of the best coastal lagoon systems in New South Wales and is listed on the Register of the National Estate. In addition to the unique scenic beauty of the lagoon and the naturally vegetated fore dune and sand spit, the 130 hectare reserve contains 40 hectares of nationally important wetlands that protects many internationally endangered migratory bird species as well as nationally significant endangered plants and birds. It is a relatively unmodified coastal lagoon and sand dune and beach system with a complete and intact cross section of native vegetation across the dune system and around the lagoon. The University of Newcastle’s Ourimbah and Callaghan campuses use the lagoon extensively as an example of a relatively pristine coastal lagoon system. The reserve serves a range of functions such as foreshore and catchment protection, coastal vegetation and ecosystem conservation. It also serves as an important recreational breathing space for residents from the suburban sprawl of the Central Coast. By contrast to many other coastal lagoons, Wamberal Lagoon has relatively clear water with a healthy and diverse marine life. 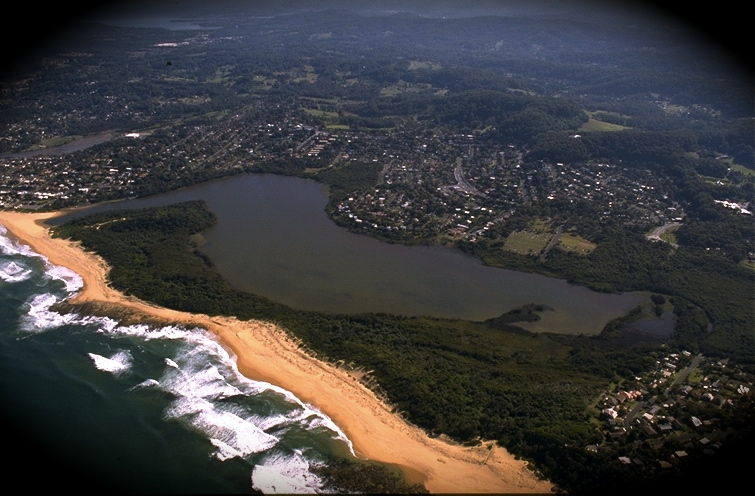 To prevent the lagoon turning into a putrid, stinking mud pond, it is critical that the surrounding vegetation and catchment area on the northern side of the lagoon at Forresters Beach, which filters the water running into the lagoon, is protected. This means all the bushland on both sides of the Central Coast Highway must be protected. Destruction of these ecologically endangered communities (EEC) at Forresters Beach will increase run off and pollution into the Wamberal Lagoon Nature Reserve seriously impacting the natural coastal processes and water quality. In addition to the needless environmental damage, the impact would be felt by thousands of residents, visitors and property owners in the Wamberal area.